Pia Wurtzbach, the future James Bond girl? “Yeah, that's also my dream. Hopefully, I'll be able to do that,” says Pia Wurtzbach on rumors about becoming the future James Bond girl. 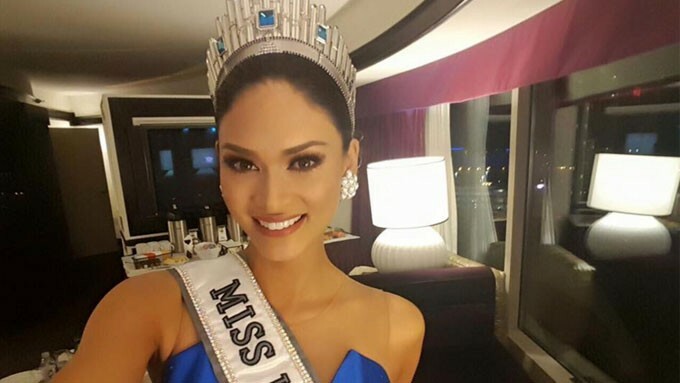 Pia Wurtzbach gushed over the idea of becoming the future James Bond girl. The new Miss Universe title holder is rumored to be the future love interest of the fictional British Secret Service agent. However, during her one-on-one interview with Lara Spencer of Good Morning America today, January 4, Pia clarified that while it is also her dream to become a “Bond girl,” it's not her part of her current priorities. “Right now, I'm focusing on... I have the whole year ahead of me,” said Pia, who has officially started her reign as the new Miss Universe. “I have these cause that I wanna put some light into like, HIV awareness; and some other causes that I personally believe in like, relief operations for place that were hit by calamities like the Philippines; and also cyberbullying.